The stars finally aligned, the timelines have converged and an idea born from multitude of brain storming sessions that began in numerous Soho bars during the mid-seventies, has at long last emerged from the swirling mists of the vortex. But as half of the partnership that originally brought Doctor Who meets Scratchman to life is no longer with us, it was left to the remaining member of the duo to ensure that the story, at long last, reached its audience. So the Doctor, being The Doctor, wrote a Doctor Who novel about the Doctor. And it’s good. 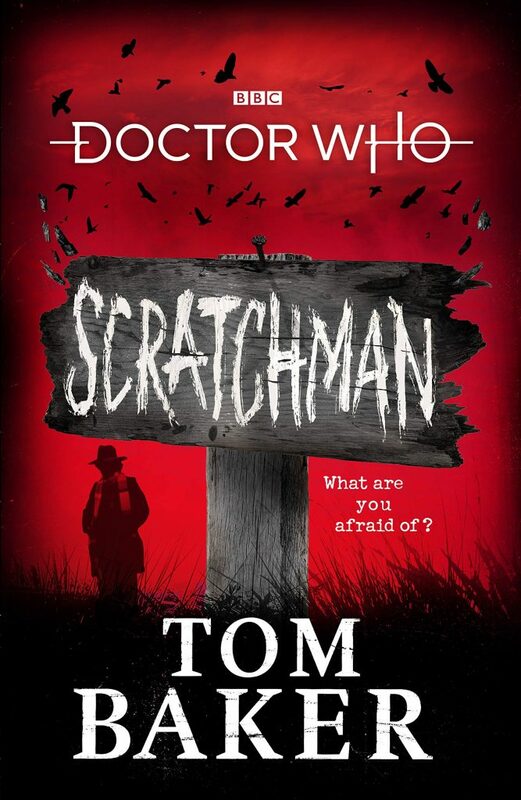 No, scratch (yes, I went there) that, Scratchman, as a cornflake loving tiger from the same decade in which Harry Sullivan and Sarah Jane Smith traversed time and space in the Tardis, is great with a capital G. But then, as it’s written by Tom Baker, the man who absolutely and totally personifies the Doctor and understands his nature and everything that he is in a way that few others ever could, how could it not be? The Fourth Doctor, more commonly know these days as Tom Baker, was my Doctor. He epitomised the image of the madman in a box, blundering from one cosmic level disaster to another as he travelled the Universe in search of whatever it was that was hidden just over the horizon in the next galaxy. There was a method to his madness, and his was a brilliantly sharp intellect that embraced eccentricity, refused to suffer fools and was always on hand to help those who couldn’t help themselves. Tom Baker was, is and always will be my Doctor and he has imbued every sentence, paragraph and page of Scratchman with everything that he learned, and knows, about being the wayward son of Gallifrey. Beginning in a remote Scottish costal village in which the inhabitants have been struck by a rather curious and deadly virus, Scratchman following the arrival of the Doctor, Sarah and Harrysoon evolves into a dark, base under siege scenario before the big bad is revealed, at which point it becomes both an intellectual and physical battle between the forces of good, embodied by our favourite time travelling trio, and a creature who is acknowledged by most Earth based religions as being the ultimate evil.